The fashion program at American River College will present a diversity themed fashion show “Fluent” on May 5. There was a model casting on March 24 where models, both men and women, were selected to present the designer’s clothing style for the upcoming fashion show. 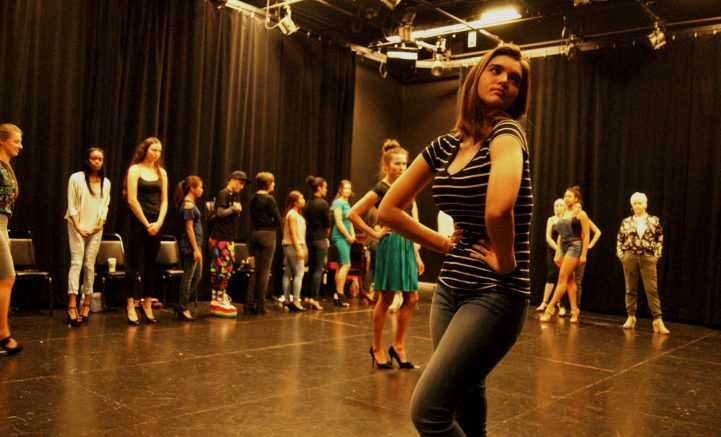 There was a good turnout for the model casting; over 100 people turned up to sign up for the fashion show, according to Sara Durrant, who is taking the Productions 393 class. “We had some people who had never modeled, people who had been doing it for years, people who had done the show before; the designers found some amazing people,” said Durrant. The fashion program is composed of two classes: the designing class, which creates the design and brings it to life, and the promotion class, which handles the stage, marketing, production, and finding the models. Either class, designing or promotions can only be taken separately, and both are heavily time consuming and deadline strict, according to Durrant. There are 10 designers presenting in the show this semester, and each designer gets five models to represent and wear their style design and creation. 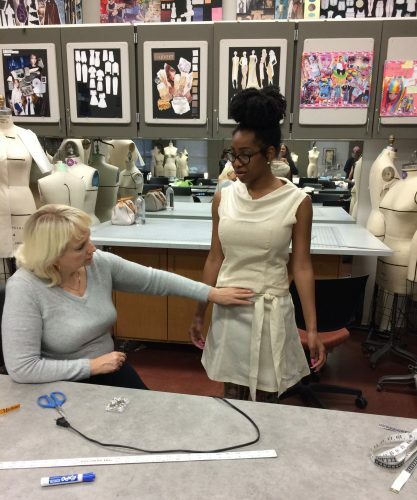 During a meeting together in the beginning of the semester, the fashion production classes had the realization that they were a diverse group with different backgrounds from all over the world, according to Durrant. The name of the fashion show, which is “Fluent: a Modern Diversity” came out of that epiphany to describe their diverse group and uniquely diverse styles. Durrant explained that the process of picking a name was in actuality a very long process, since with it they were trying to “change the direction of the following shows”. This diversity likewise extends to their varying and different design ideas they each introduced to the class. “It’s something that really shows what they want to get across,” explained Durrant. The varying styles of these design collections will include edgy street, Japanese streetwear, abstract and supplemental, vibrant colors, seasonal, business dress, and different cultural design. Melek Uluk, a designer in the show, is in her third year living in America. She is presenting an elegant collection that depicts the fashion and style of her Turkish roots. The other designers are Alexandria Dowty, Kaysy Xaynhlath, Kelsey Lightfoot, Olga Komlyk, Sepideh Hassani, Tanya Verhoug, Tetyana Shevelenko and Yoon Soo Cho. A group of judges will select the winner of the fashion show, and will be announced at the final show. The winning design will depend on presentation, construction and the theme of their garments. The fashion production is presenting its show on May 5. There will be three runs of the show, the first beginning at 11 a.m. There will be a 5 p.m. and a 7:30 p.m. show, where the winners are announced. The money that will be collected from the ticket fee will be donated to a fund for the designers. “It’s kind of a way to give back, because all of the designers do put their money into this, for their fabric and everything,” said Durrant. Lidiya Grib is a second-semester student with the Current where is is a writer, illustrator, photographer, and is currently the Arts and Culture editor. Lidiya is majoring in English and considering to minor in Journalism or in communication studies. 1 Comment on "Fashion production presenting diverse fashion show"